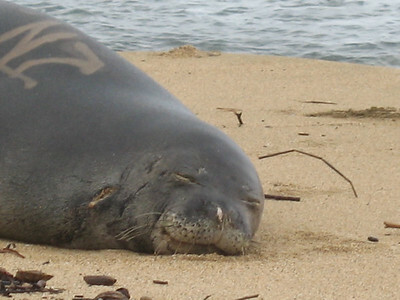 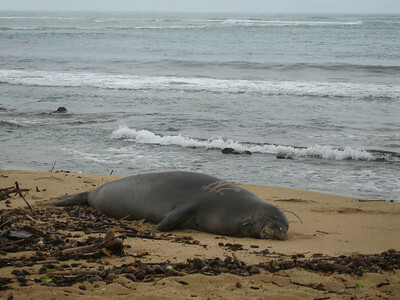 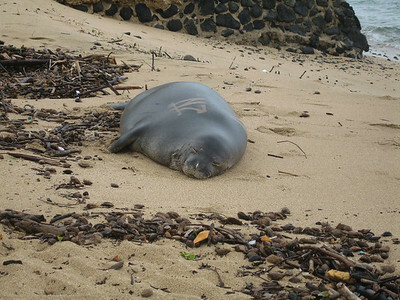 This Hawaiian Monk Seal was up on the beach at Hau'ula about 4 or 5 miles north of us. 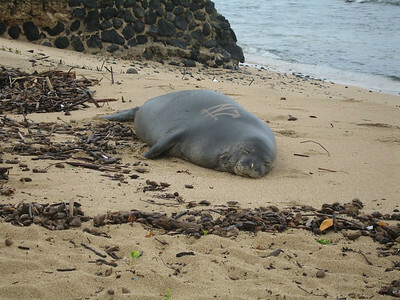 Apparently they come out onto the beach to rest for prolonged periods. 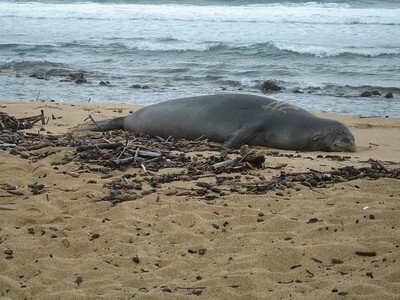 He probably weighs about 300lbs and was sleeping like the proverbial log. 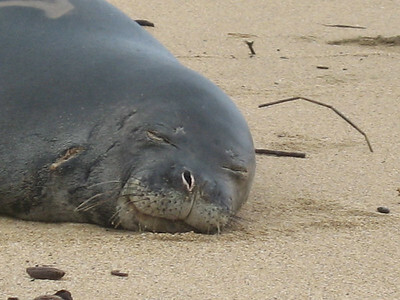 He did crack open an eye and peep at us but promptly went back to sleep again.